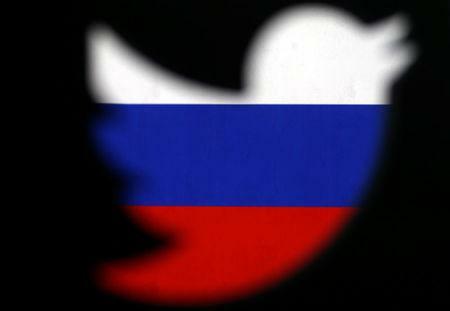 (Reuters) - Twitter published a trove of some 10 million tweets that it said are potentially the product of state-backed operations by Russia and Iran, shedding new light on the scale and nature of misinformation campaigns mounted by the two nations. Twitter said on Wednesday that it had identified 3,841 accounts affiliated with the St. Petersburg-based Internet Research Agency, a Russian “troll farm” that has been indicted by U.S. Special Counsel Robert Mueller for attempts to interfere with the 2016 presidential election. It found another 770 Twitter accounts that it traced back to Iran. "We are making this data available with the goal of encouraging open research and investigation of these behaviors from researchers and academics around the world," Twitter said in a statement on its "elections integrity" site. It comes less than one month before U.S. Congressional elections which are already the subject of foreign-directed social media campaigns, according to senior U.S. intelligence officials. The release shows that both the Iranian and Russian operations started out as campaigns to support countries' governments at home, but the Moscow-based effort expanded into an "offensive weapon" targeted at the United States, said Ben Nimmo, a senior fellow at the Atlantic Council’s Digital Forensic Research Lab, which has seen the tweets. "The Iranian operation was clumsy. It tried to use social media to draw people towards pro-regime messaging sites," said Nimmo, whose lab published a detailed analysis of the tweets on Wednesday. "The Russian operation was much more skilled. It masqueraded as real Americans to turn real Americans against Hillary Clinton, and against each other,” Nimmo added, referring to Donald Trump's presidential election challenger.